Cupid’s arrow can strike anywhere—even several miles above ground in the cockpit of an airplane. This time last year, we introduced six pilot couples and learned a little bit about their relationships—their communication techniques, things they’ve learned along the way, and how they keep things fresh. Their experiences and advice will always resonate, so check out these relationship tips from professional pilot couples this Valentine’s Day. Year-round, ALPA members are active in their communities, supporting charities and other important causes. Take Envoy Air F/O Sean McClain, for example. 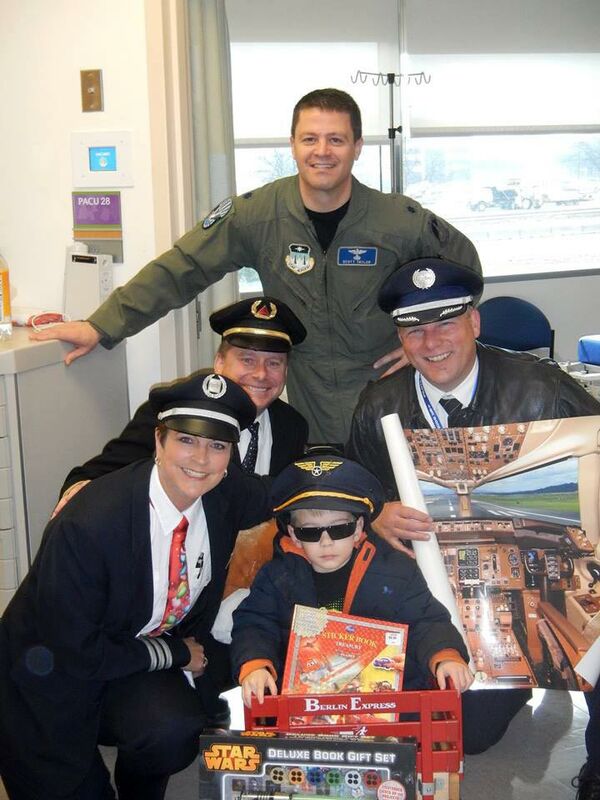 Although he’s a Chicago-based airline pilot, Sean lives in the Washington, D.C., area and is an active member of the local chapter of Pilots for Kids (PFK), an international, nonprofit aid organization. Seeing is believing for the pilots and crew aboard Orbis International’s “Flying Eye Hospital.” As a U.S. Air Force veteran, Capt. Gary Dyson (FedEx Express), being of service to others has been a lifelong effort. Ever since his first flight for the organization 18 years ago, Dyson has donated his time to the Flying Eye Hospital using his vacation hours and bidding around the organization’s mission days. In honor of dads everywhere this Father’s Day, we’ve collected dad-themed “All in the Family” stories from ALPA members—first-person stories that truly showcase how the love of flying runs in the family. Happy Father’s Day!